We have been appointed dealer for Toro commercial and Turf care machinery, for Lincolnshire and North Nottinghamshire. The Toro range of equipment includes a wide range of specialist machinery such as, mowers, aeration machinery and sprayers. Makita has always had the vision that society and global communities should be able to develop for themselves, and future generations. By providing the tools, Makita is ensuring that anything is possible. Find us on Google Maps and visit our office to see what we can offer. 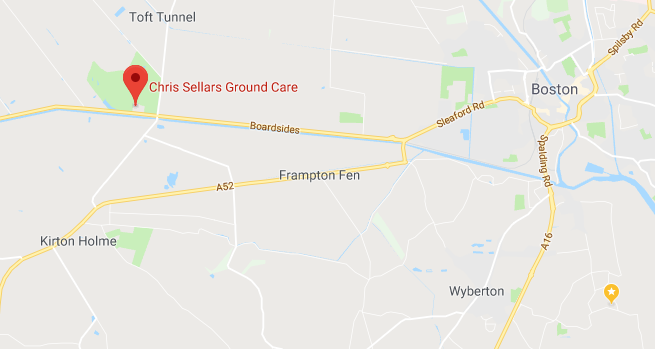 We're open 8am till 5pm Mon - Fri.
Chris Sellars opened for business in 1996, to provide a repairs and service business for golf course and commercial grass cutting machinery customers. The business soon expanded and took on a new side of sale's for new/second hand machinery and parts department. In 2001 we were very pleased to be asked to become a Service Centre for the TORO Commercial Machinery for the Lincolnshire area, this work includes Pre Delivery Inspection of machinery and installation with the customer after sales service and supplying Toro Parts, it's been a great success.